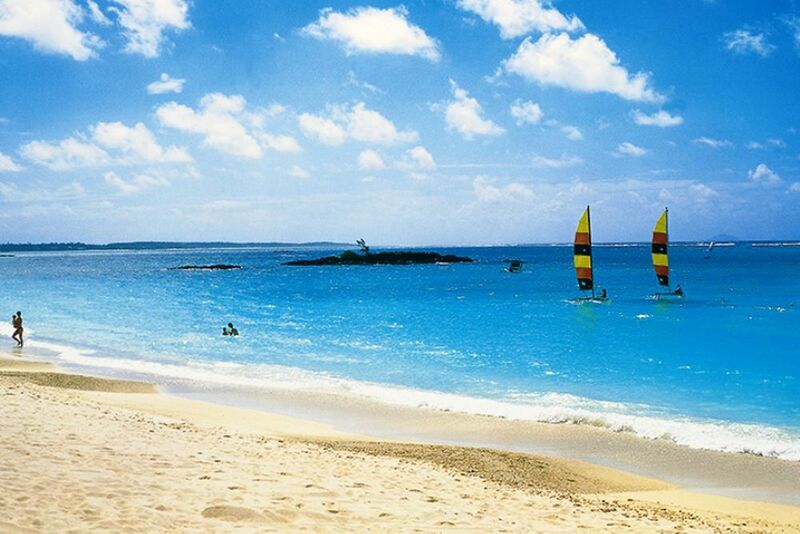 A seemingly endless sandy beach and a paradisiac panorama lure you to Mauritius. 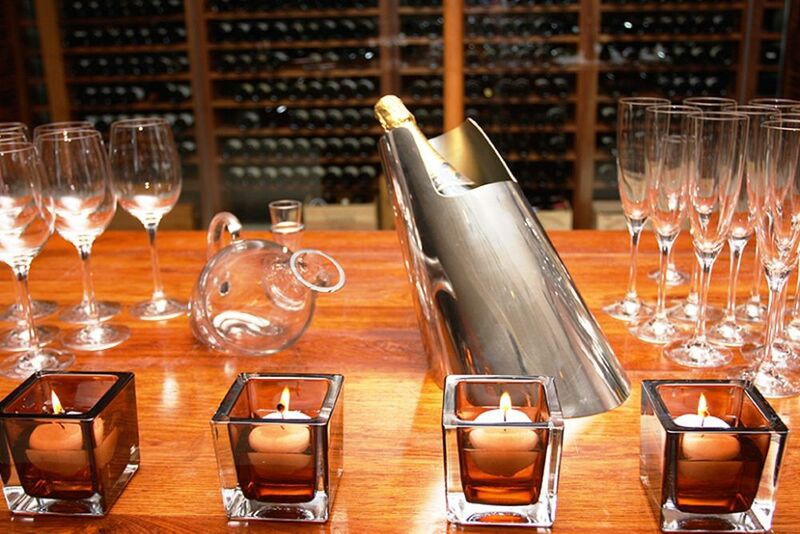 Experience a relaxed atmosphere with numerous opportunities for the perfect evening. 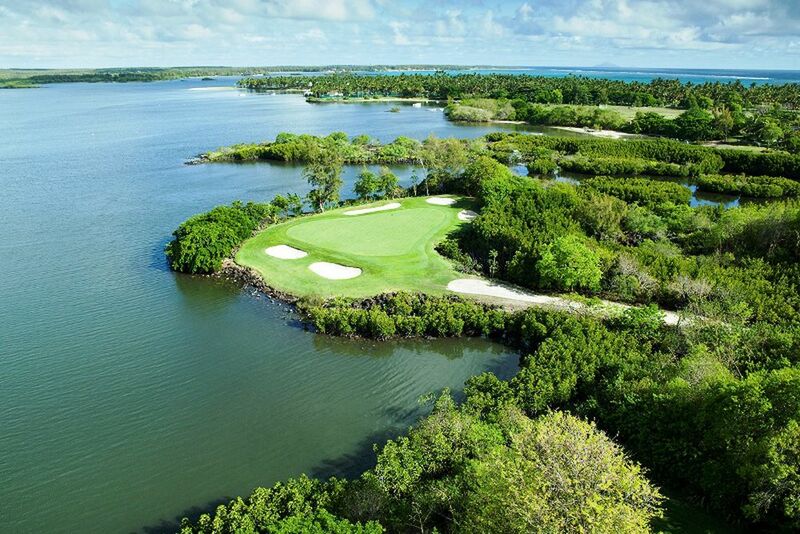 A true paradise for athletes: The two championship golf courses are in an exceptional location. 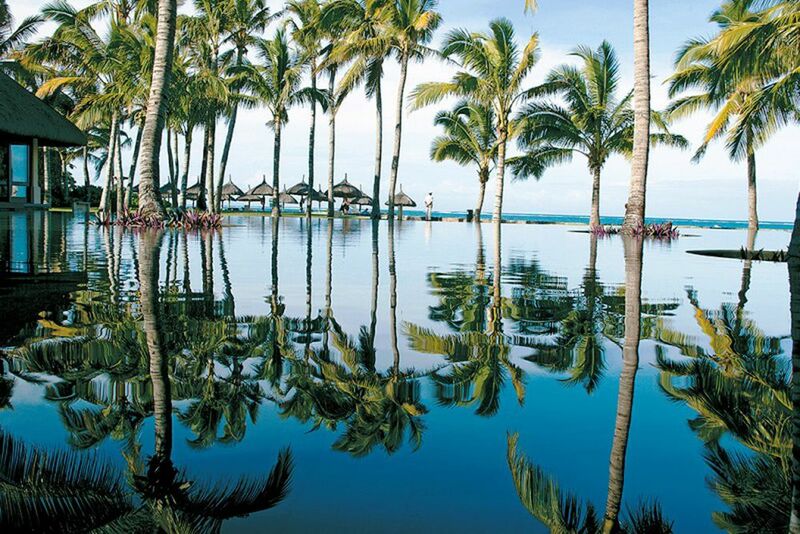 The Constance Belle Mare Plage's pool makes holidaymakers' hearts beat faster. Jump in the cool water and enjoy the view from the water. 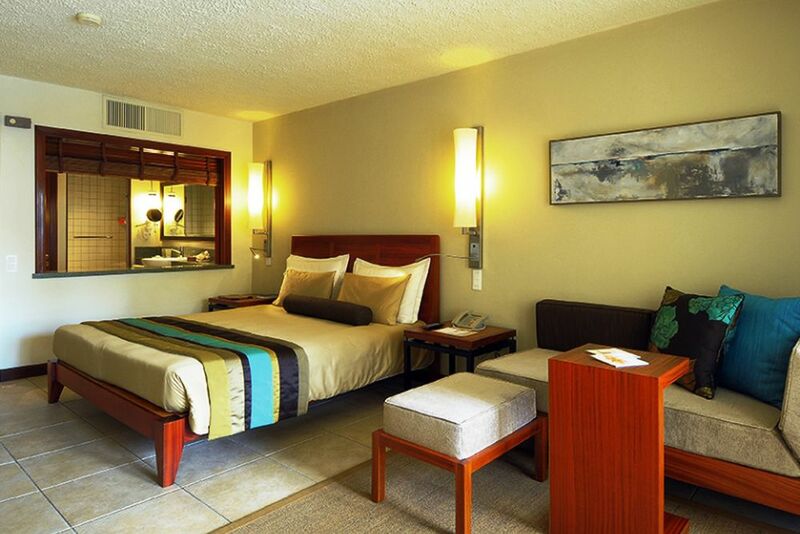 As soon as you arrive, your tranquil holiday begins. All of your tropical dreams come true here! This panorama awaits you. The prestige rooms of the hotel are inviting and individually designed. The beachfront villas invite you to relax on the pristine beach. 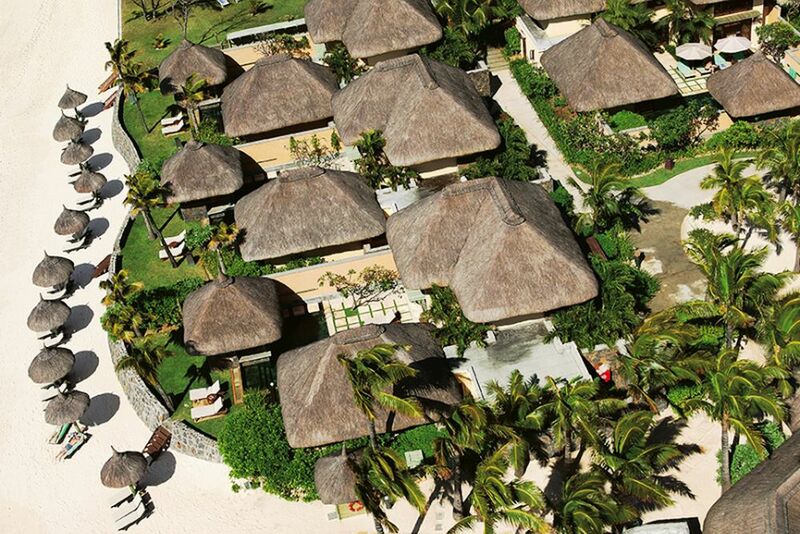 Whether you are young or old, everyone at Constance Belle Mare Plage feels at ease. 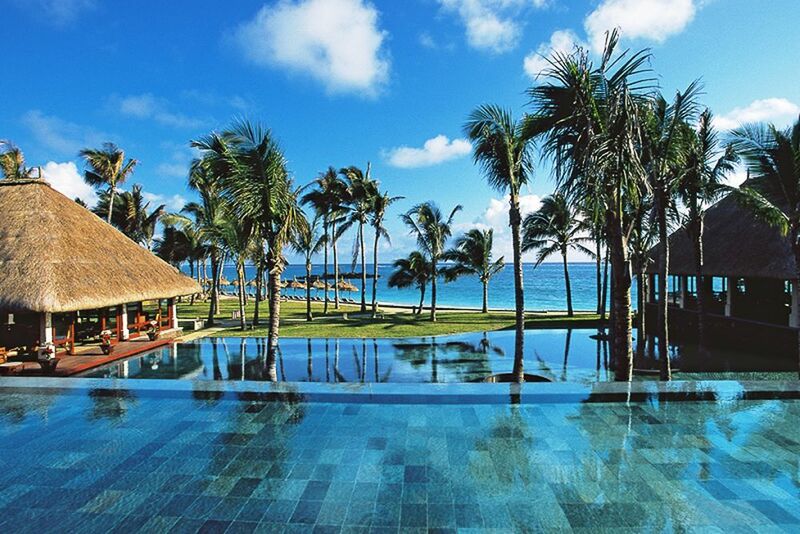 Forget about reality at the resort's beautiful pool. If you do not want to swim, enjoy a cocktail and wonderful pool views at the pool bar. Stroll through the resort's gardens and discover some beautiful surprises! The Blue Penny Restaurant is located in the beautiful wine cellar of the hotel. 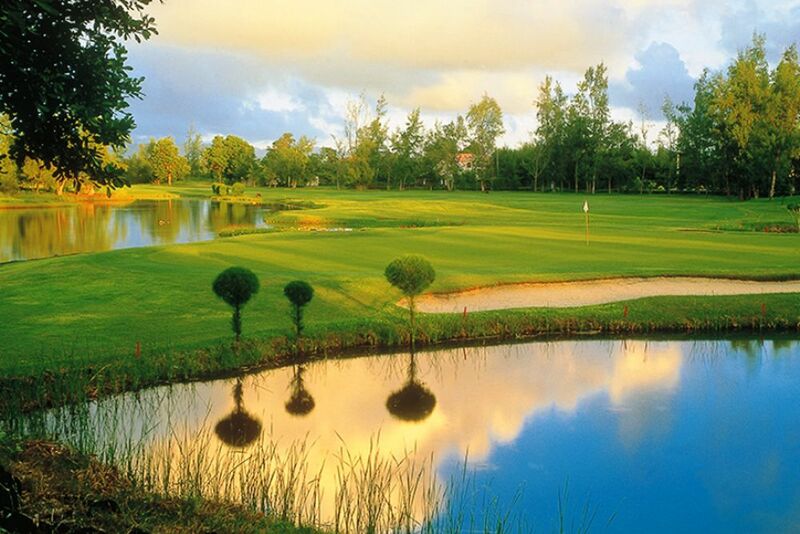 Golf lovers will enjoy the spacious golf courses. Have a good time playing golf in a unique setting. 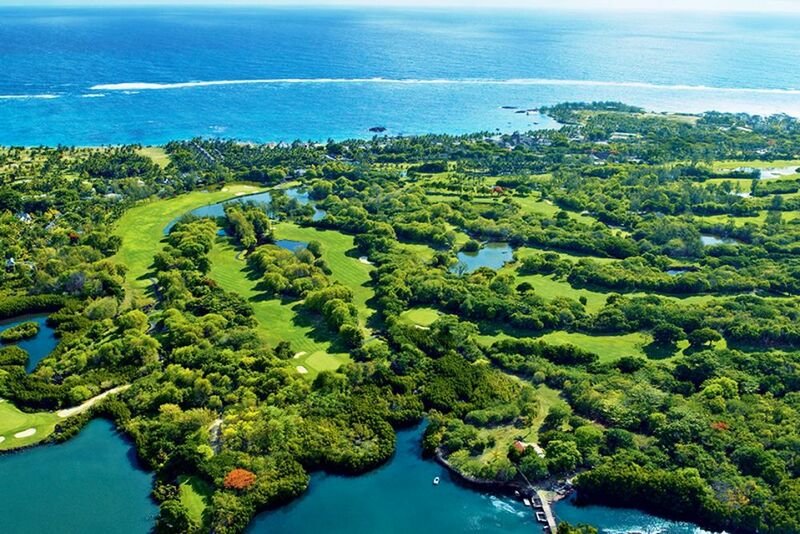 A breathtaking panorama; the golf course surprises with different difficulty levels. 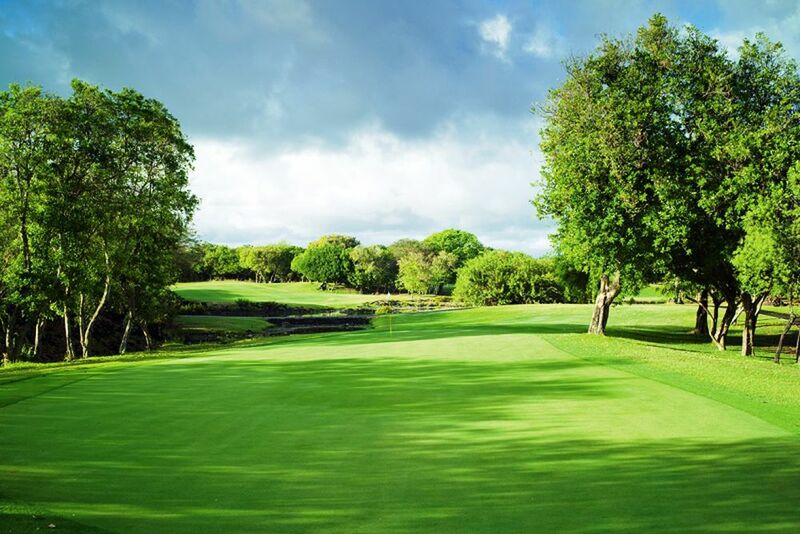 Spacious and lovingly maintained; the championship golf courses are a mecca for golfers. 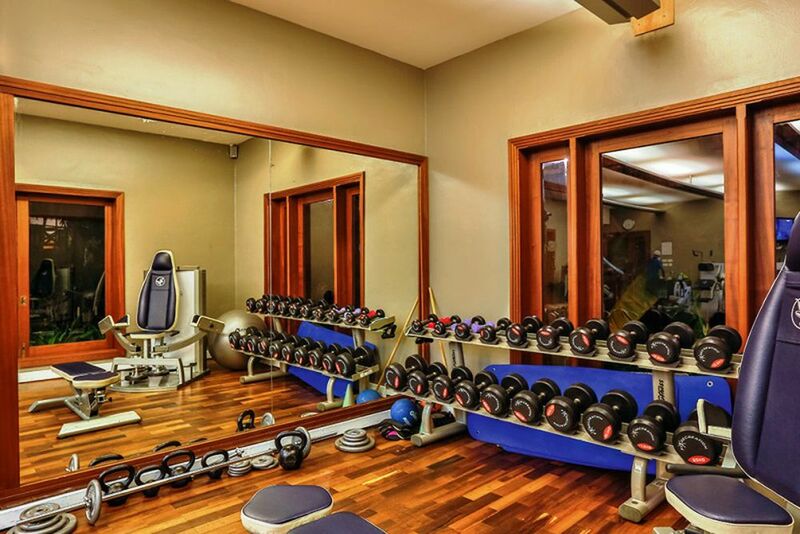 You can also work out in the fully equipped gym of the hotel. From weight benches to fitness courses, there is something here for everyone. Surround yourself with soft white sand, the blue sky dotted with white clouds and a turquoise lagoon; Constance Belle Mare Plage is the place to be! 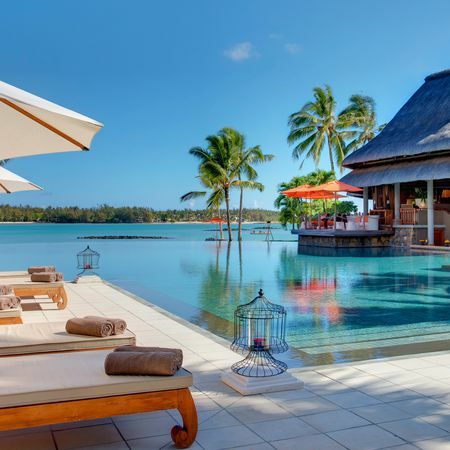 Nestled on the east coast of Mauritius, the luxury resort allows guests to seize the opportunity to try new things while having fun. 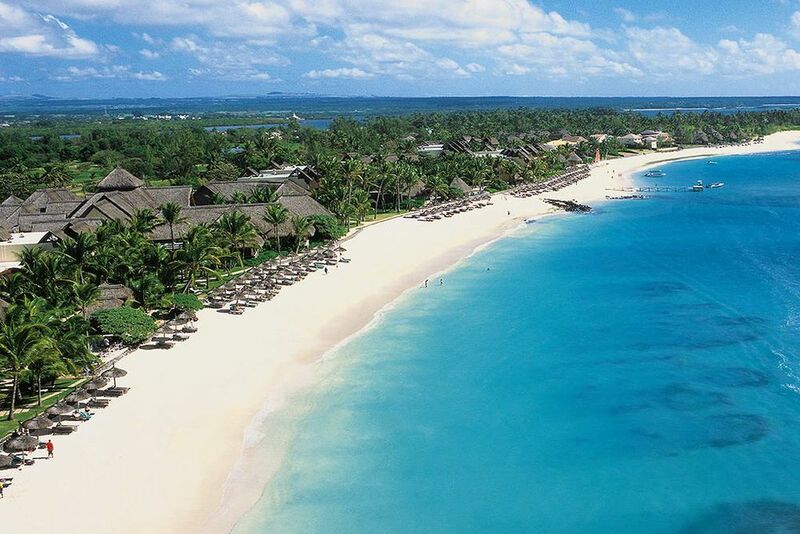 Beautifully nestled on a two-kilometer long white sand beach, the luxury resort has an ideal location on the most stunning coast of Mauritius! The offshore reef offers unforgettable snorkeling and diving adventures. 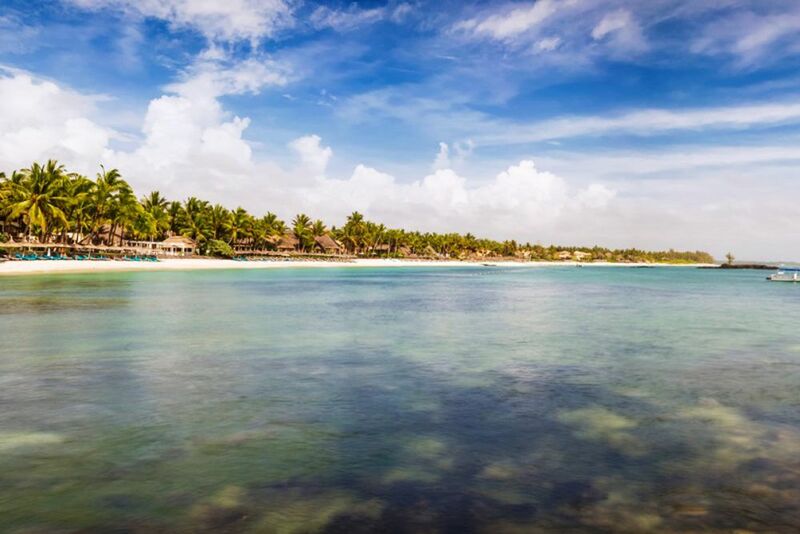 Explore the colorful underwater world, just steps from Constance Belle Mare Plage! The bay on the east coast reflects a quiet haven of the island that harmoniously combines the tropical surroundings with the luxurious resort. The family-friendly resort also boasts a 15-hectare tropical garden for endless hours of exploration and adventure with your loved ones! Whether it’s relaxing on the beach or at one of the trendy bars, pampering at the spa, working out at the gym, or enjoying water sports, Constance Belle Mare Plage is a memorable holiday, perfect for the entire family! If you need a break from the beach, take a dip in one of the four swimming pools (including one heated pool). Lounge on a beach chair with an umbrella shading you from the tropical heat, and free towels at your disposal. 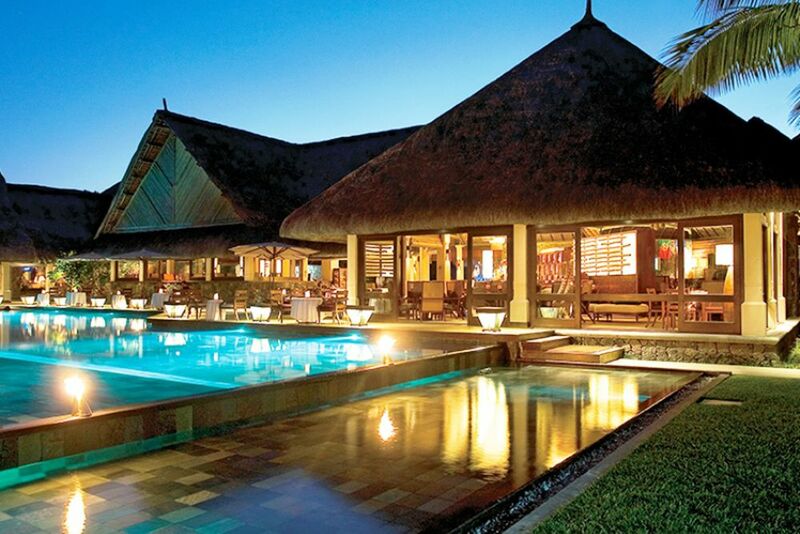 Constance Belle Mare Plage offers a culinary journey at nine different restaurants and bars, all offering a variety of flavors and special moments. The Blue Penny Cellar is known for their extraordinary wine cellar. À la carte cuisine awaits you in an elegant and charming atmosphere. The restaurant skillfully combines their delicious and high-quality cuisine with carefully curated wines. La Citronelle is the perfect place to taste cuisines from around the world for breakfast and dinner. With a pleasant view of the glistening sea and the tropical pool, guests experience the daily changing buffet with cooking stations. For Mediterranean flavors, visit La Spiaggia for an elegant and gourmet restaurant experience. Located directly on the golf course, try the Deer Hunter whilst overlooking the green grass of the championship course. The authentic experience includes a selection of Indian food, game dishes and barbecue specialties complemented by a sporting atmosphere. Experience a casual setting, light snacks and refreshing cocktails at Le Swing, Lakaze, Indigo, The Bar, or The Blue Bar. 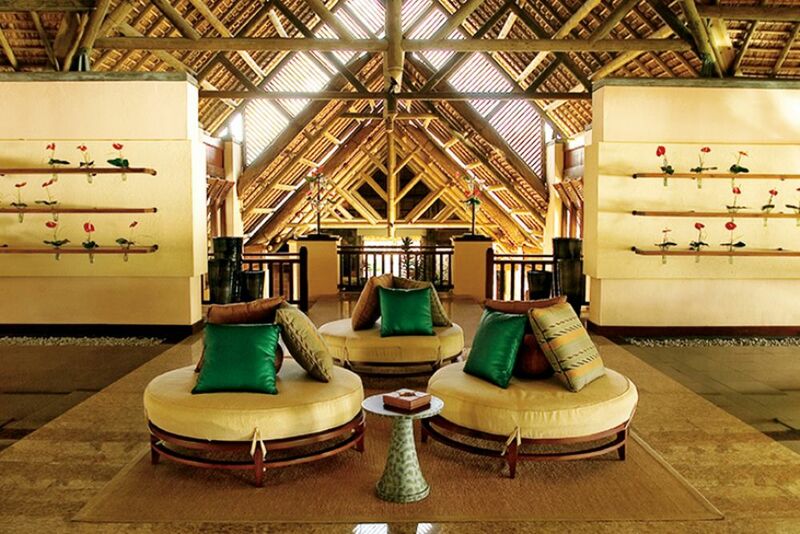 Choose from 104 prestigious rooms, 149 junior suites, six deluxe suites and 19 villas. All rooms are equipped with a furnished terrace or balcony, bathroom with a separate shower or bath, air conditioning, hair dryer, satellite TV, mini bar, tea/coffee making facilities, and a safe. All rooms have free Wi-fi and a Mini Apple Mac. Prestige Room (45 m²)— Combining space and style, these rooms infuse you with an everlasting holiday mood! Perfect for families, some of these rooms have connecting doors. Maximum 3 adults or 2 adults and 1 child under 12 years. Junior Suite Sea Facing (68 m²)— From stylish contemporary wood to the marble décor and serene azure lagoon views, these rooms evoke comfort and well-being. Maximum 3 adults or 2 adults and 2 children under 18 years. Junior Suite (68 m²)— The elegant décor of the suites complements their ideal beachfront location on the stretch of flawless white sand. Maximum 3 adults or 2 adults and 2 children under 18 years. Deluxe Suite (96 m²)— Wake up to a remarkable ocean view from the comfort of your suite! Soak up the tropical sun on the private balcony for the perfect getaway experience. Maximum 3 adults and 1 toddler or 2 adults and 2 children under 18 years. On request, get villas with two to five bedrooms and a private pool. 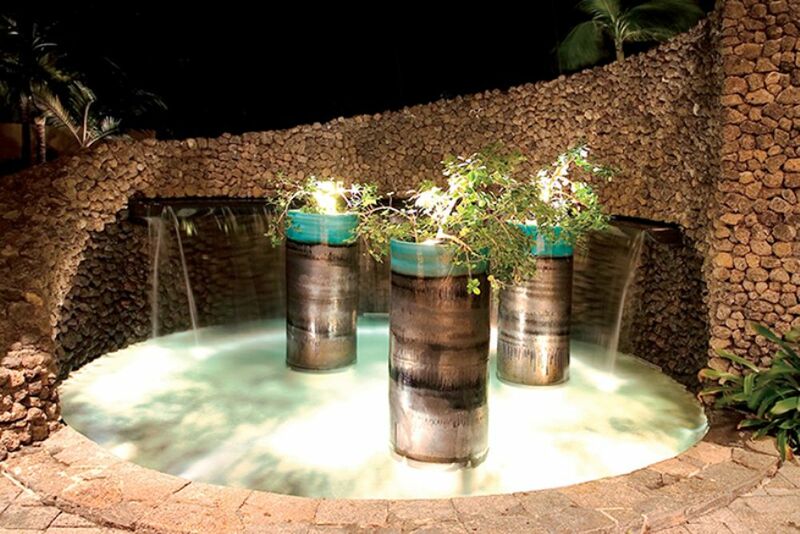 Discover the serene atmosphere of the U Spa by Constance nestled in a tropical oasis away from the rest of the resort. Relax, rejuvenate, detox, deep cleanse, rehydrate or simply enjoy the array of treatments customized to the guests’ preferences. Sit back an relax in the six single or four double treatment rooms, a sauna, a steam bath, two whirlpools and a cold pool. 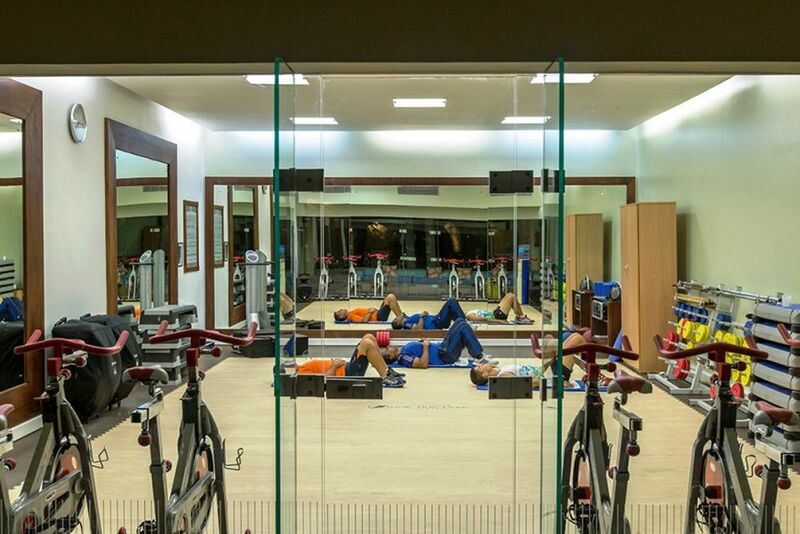 The fully equipped fitness studio has all the modern appliances for the sport enthusiasts wishing to continue daily sport routines. On request, you can get private coaching lessons and bike rentals. The free program includes aerobics, yoga, Pilates and water aerobics. 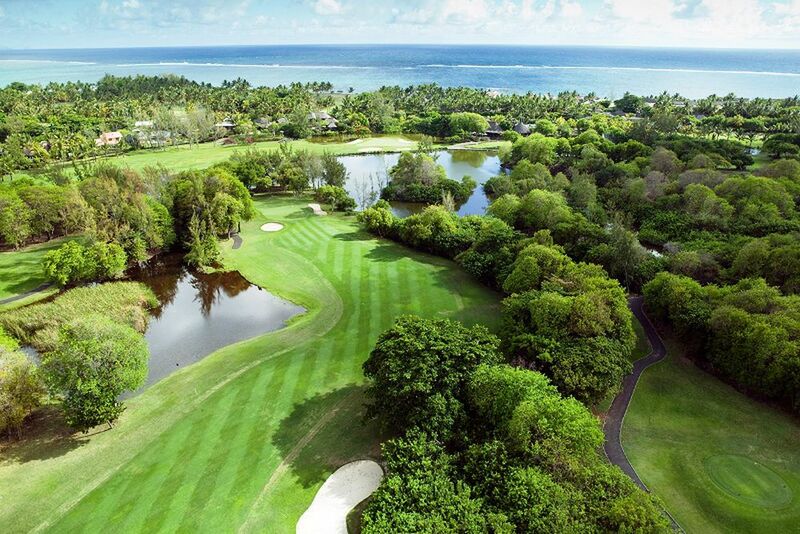 Golf lovers will be in heaven when visiting Constance Belle Mare Plage! The two newly renovated championship golf courses invite all guests. Discounts include green fees paid for and a shuttle service to the two 18-hole courses. Apart from a golf school, there is also a driving range, a restaurant, a bar, a pro shop, dressing rooms and rental equipment. Known for clear waters and an ideal beachfront location, divers will discover the paradise of the colorful underwater world right outside their door! Explore the depths of the Indian Ocean with the PADI diving school located on the resort. For water sport enthusiasts, there is a wide range of activities available. Try waterskiing, wakeboarding, kayaking, pedal boats, laser boasts and glass flooring boats free of charge!